Paul Manafort arrives for a hearing at U.S. District Court in Washington, D.C., on June 15. A new court filing says Manafort is suspected of having shared polling data with a business associate who has links to the Russian intelligence service. 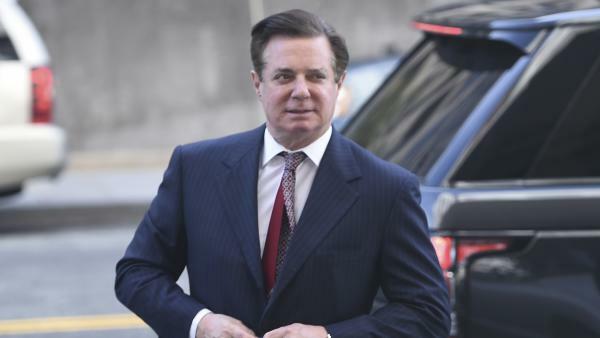 Prosecutors investigating Russian interference in the last U.S. presidential election suspect former Trump campaign chairman Paul Manafort shared polling data with a business associate who has links to the Russian intelligence service, according to a new court filing. The disclosure emerged in a legal brief filed by Manafort's defense lawyers, who are resisting the idea he intentionally lied to special counsel Robert Mueller, lies that the investigators said should torpedo his plea deal. Manafort's attorneys reported he has been suffering from severe gout, anxiety and depression — conditions that may have affected his ability to recall events during his tumultuous service on the Trump campaign. But portions of their legal brief contained botched redactions that made it possible for readers to see blocked text. There, it was revealed authorities believe Manafort lied about handing 2016 polling data to Konstantin Kilimnik, a translator and business associate that Mueller has connected to Russian intelligence. Manafort and Kilimnik were charged with conspiracy to obstruct justice by attempting to tamper with witnesses after Manafort had been already been indicted for other crimes. Prosecutors also think Manafort and Kilimnik may have met in Madrid, during the campaign, to discuss a possible Ukraine peace plan, according to another passage of the new document. And in a third redaction apparently gone wrong, defense lawyers revealed that Manafort may have greenlighted an unnamed third party to drop his name if that person secured a meeting with President Trump. Manafort met with government attorneys and agents 12 times and testified twice before the grand jury. His lawyers said there is "no identifiable pattern" to his "purported misrepresentations," even though several of them involve Kilimnik. 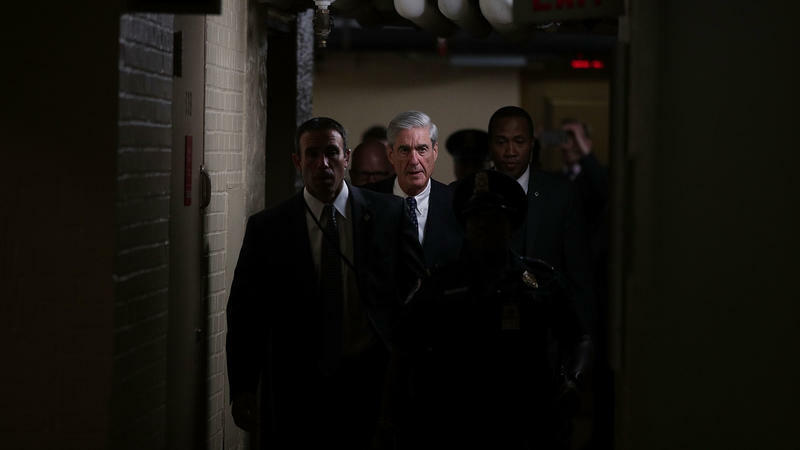 The defense filing followed an explosive assertion from prosecutor Andrew Weissmann that Manafort had told "multiple, discernible lies," blowing up a plea deal they reached one day before jury selection was scheduled to begin in a federal court in Washington, D.C.
Judge Amy Berman Jackson has ordered the government to provide a detailed factual basis about Manafort's lies, which is due Jan. 14. In another action that may be related to the ongoing Russia probe, the Supreme Court Tuesday denied an application for a stay in a case involving a bank owned by a foreign government. That case is shrouded in secrecy, but CNN and Politico have suggested it could be tied to the Mueller investigation. Reporters staked out the federal appeals court in Washington last month but were unable to observe the proceedings after security officials cleared the entire floor. The financial institution, labeled "Company A" in court documents, must pay $50,000 a day until it complies with a grand jury subpoena, but the lower court blocked execution of that penalty while the company appealed.